Shameless breaks new ground allowing us to meet a very normal transgender character played by a transgender actor. In 2011 Shameless introduced viewers to Ian Gallagher, a non-stereotypical gay teen. Ian is grown up now and he works as an EMT. Often Ian is the grownup in the Gallagher family and he has a new boyfriend (Trevor) who is a transgender man played by Elliot Fletcher. Trevor is not presented as an oddity. He is not affected, neurotic or conflicted. Trevor seems perfectly stable and he is quite affable. He is also smart, articulate and comfortable in his own skin. Trevor is a guy who just happens to be trans. 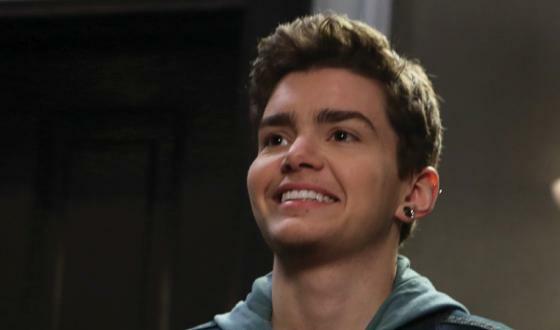 This may be due, in part, to the fact that Elliot Fletcher is a fine actor who just happens to be transgender. Over three episodes now we have seen the Gallagher family awkwardly deal with pronouns, roles and genitalia. Trevor, we are informed, has not had gender affirming surgery. Last week we learned that Ian and Trevor are both tops. Moreover, we saw Trevor's (Elliot's) mastectomy scars in a shirtless scene. They require no more explanation than a scar from and appendectomy. Viewers, at least this viewer, is happy for Ian who is on the rebound from a bisexual fireman. Now in its seventh season I do not know how much gas is left in the Shameless tank. Whatever there is left of the show, I hope that Trevor remains a part of it. As for Fletcher, I realized last night that he is a skilled actor. A milestone will be reached when Elliot Fletcher is cast in a cisgender role. He should be.